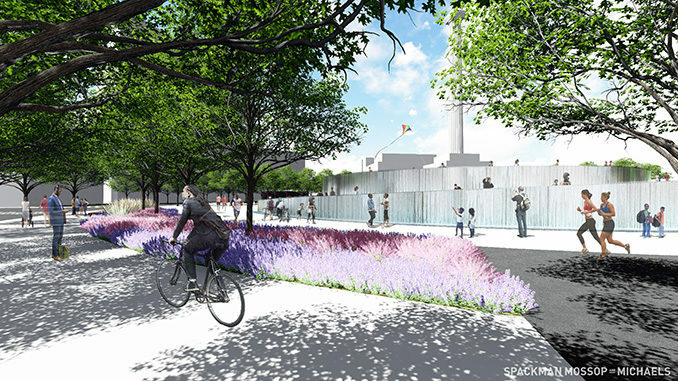 The statue of Confederate General Robert E. Lee was removed from its pedestal in Lee Circle, New Orleans’ most prominent traffic circle in the spring of 2017. 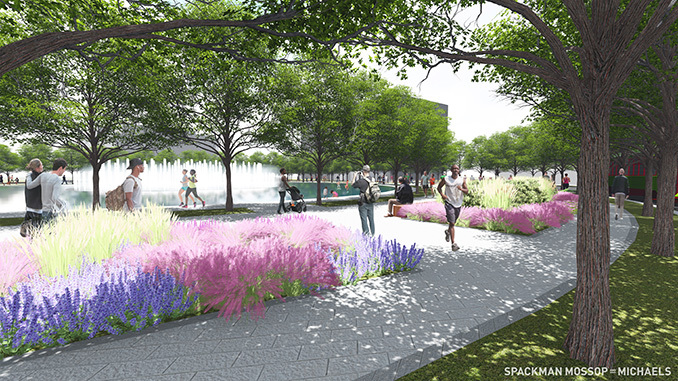 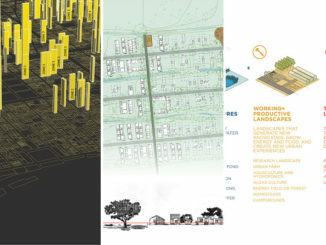 Landscape architecture and urban planning firm Spackman Mossop Michaels (SMM) was commissioned by the former Mayor, Mitch Landrieu, to create a range of revised design schemes as described in The Times Picayune on May 10. 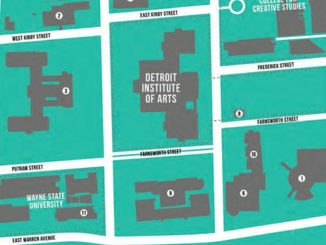 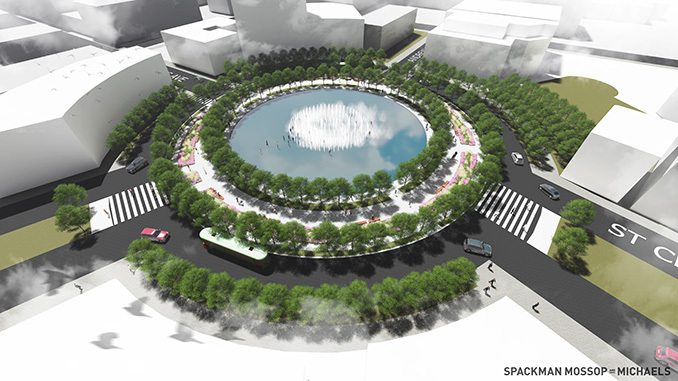 In an attempt to envision a new “Tivoli Circle” (the original name of the plaza), SMM’s proposal includes several separate designs. 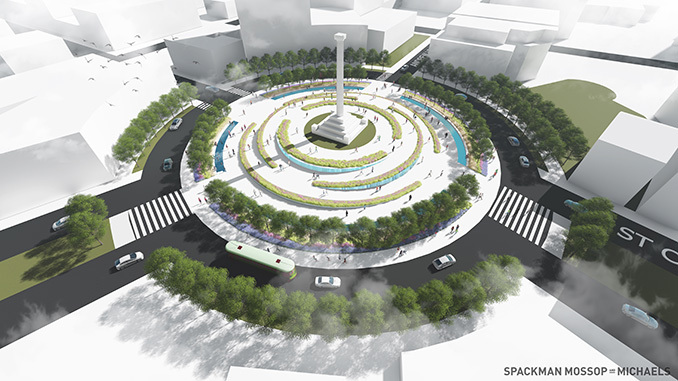 One that removes the base and pedestal to bring the circle to street level, and another that maintains the pedestal. 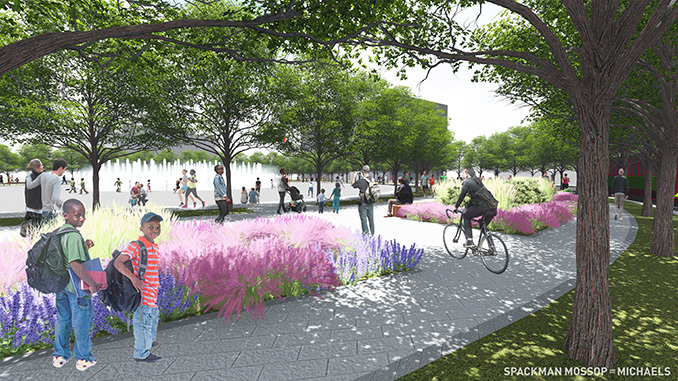 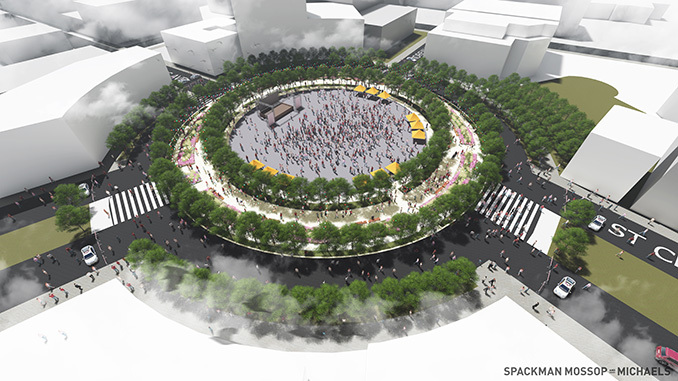 While no formal process has been initiated to redesign Lee Circle, Landrieu’s administration released SMM’s renderings as one of its last acts before leaving office on Monday May 7, 2018. 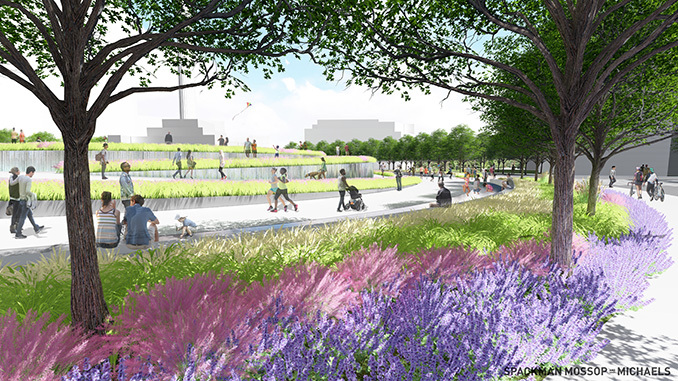 These designs were aimed at laying the groundwork for a public process that would be held in the future.